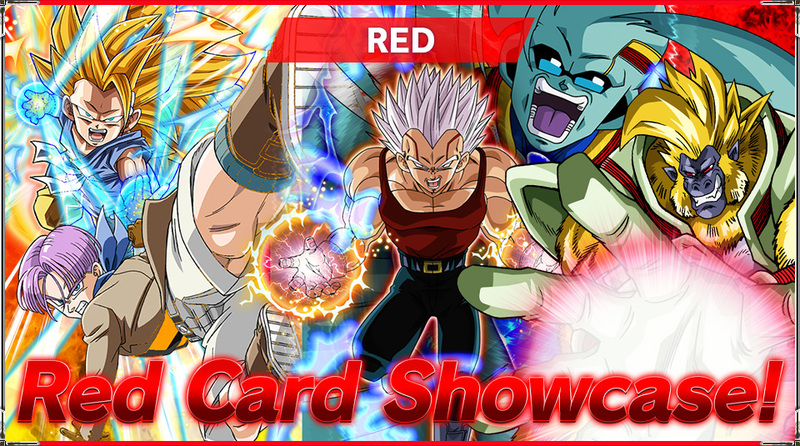 Let’s take a look at a few red cards from series 4! 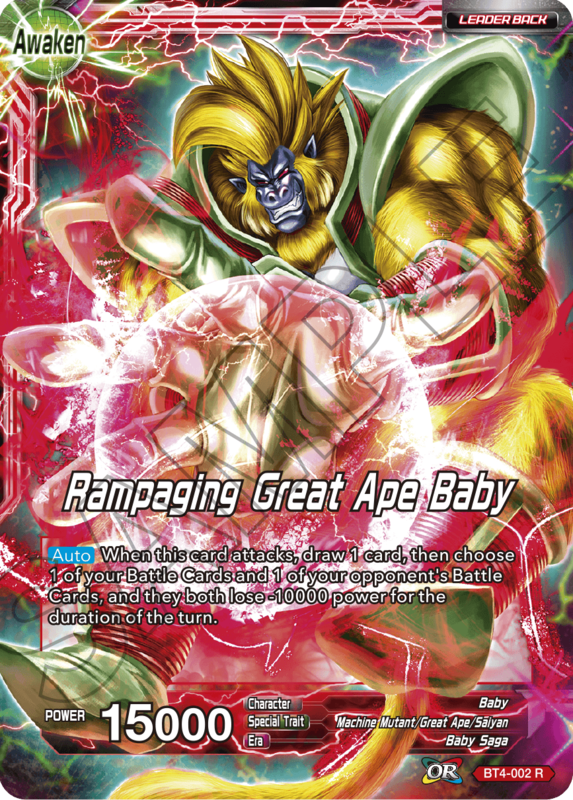 Red in series 4 is mostly focused on Great Ape Baby !! 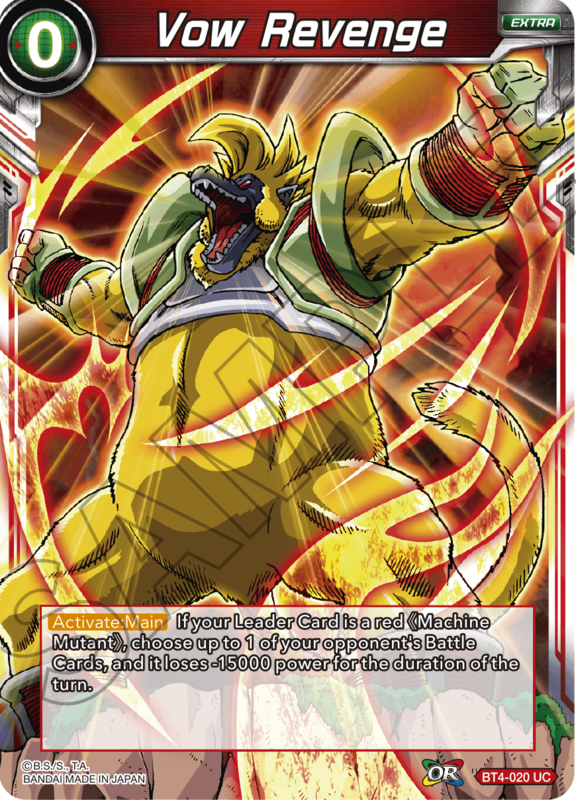 If you’re building a Machine Mutant deck in Series 4, this is the Leader Card you want to run! 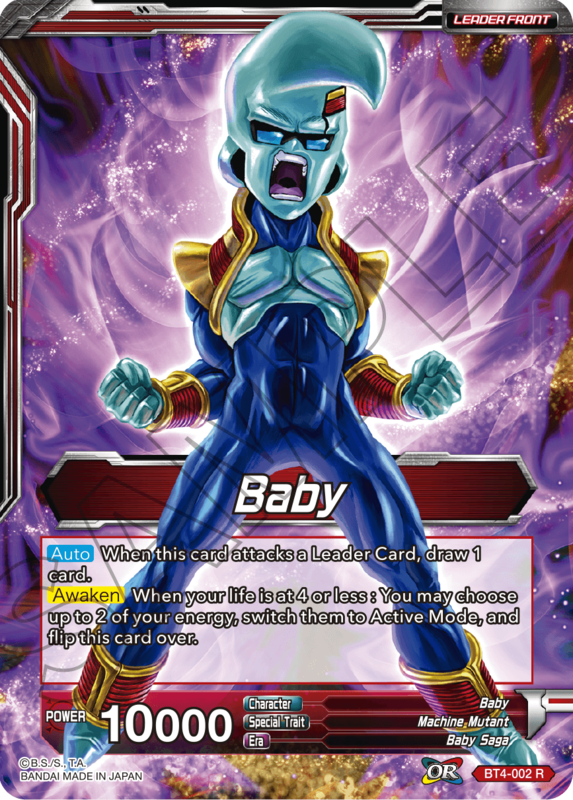 Though slightly risky, Baby reduces the power of your opponent’s Battle Cards with every attack! 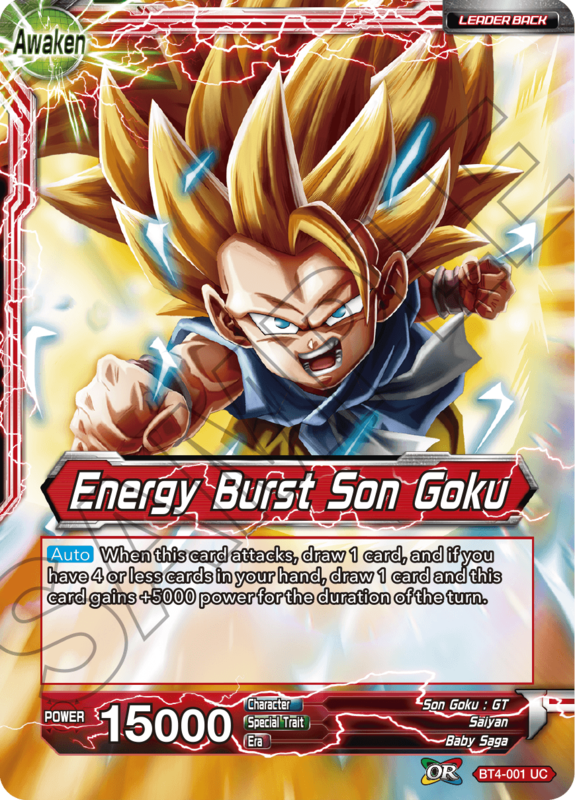 In addition to standard card drawing, Energy Burst Son Goku gets a power boost and draws you an extra card when you start running low on cards! A great Leader to have when using EX-Evolve or other strategies that leave you at small hand sizes! 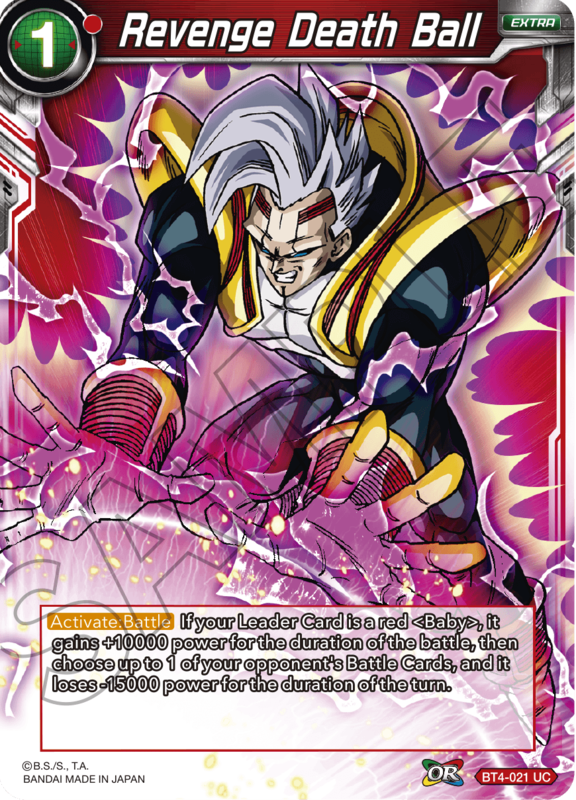 With Untapped Power comes Deflect, a new keyword skill, and you can evolve into him too, making it easy to get him on the board! Trade a life to gain Critical during an attack! The perfect choice for aggro red decks! 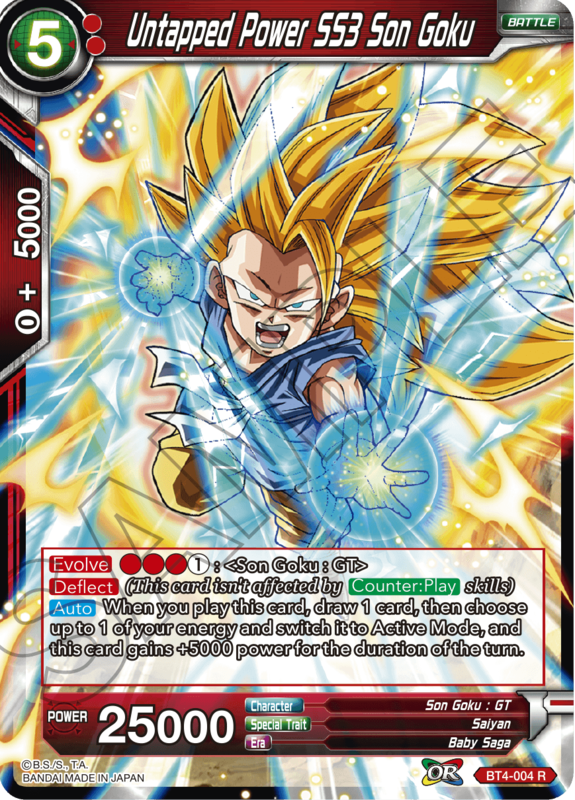 Like his Leader Card version, this Baby is a powerful card that reduces the power of your opponent’s Battle Cards! 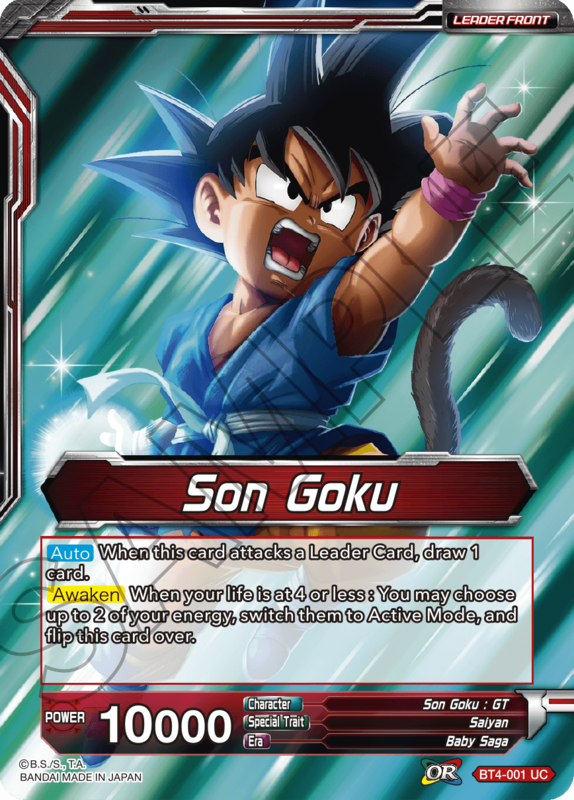 Pair him with the BT4-018 Baby card to get him on the board ASAP! 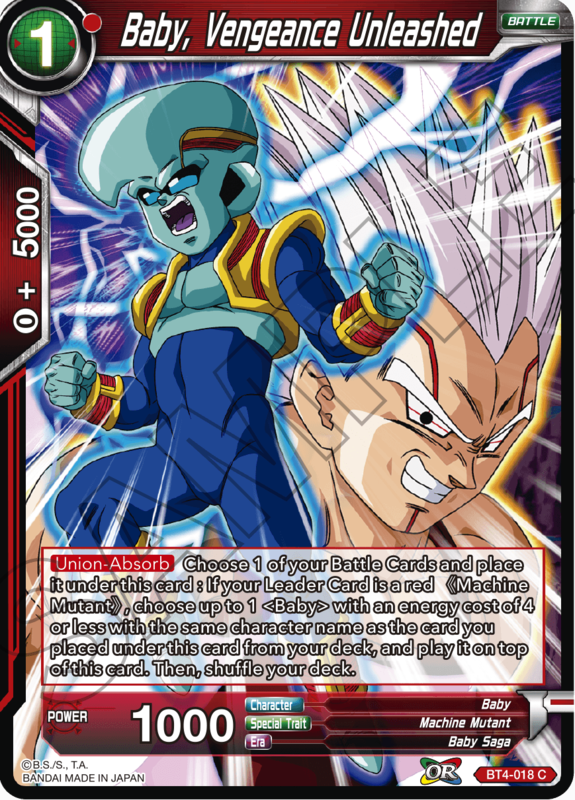 Though only useable with red Machine Mutant leaders, this is an extremely powerful 0-cost card that reduces the power of your opponent’s Battle Cards! 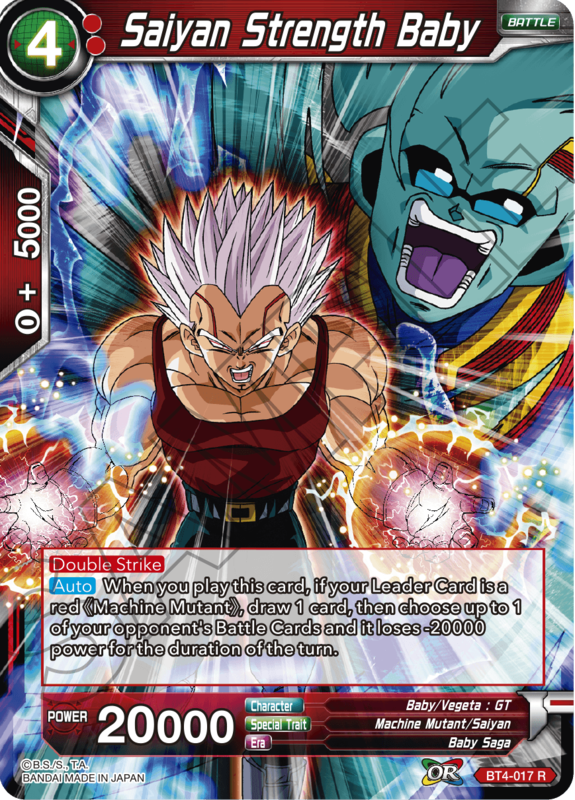 An Extra Card for players running red Baby Leader Cards, Revenge Death Ball boosts your Leader’s power and reduces the power of your opponent’s Battle Cards! 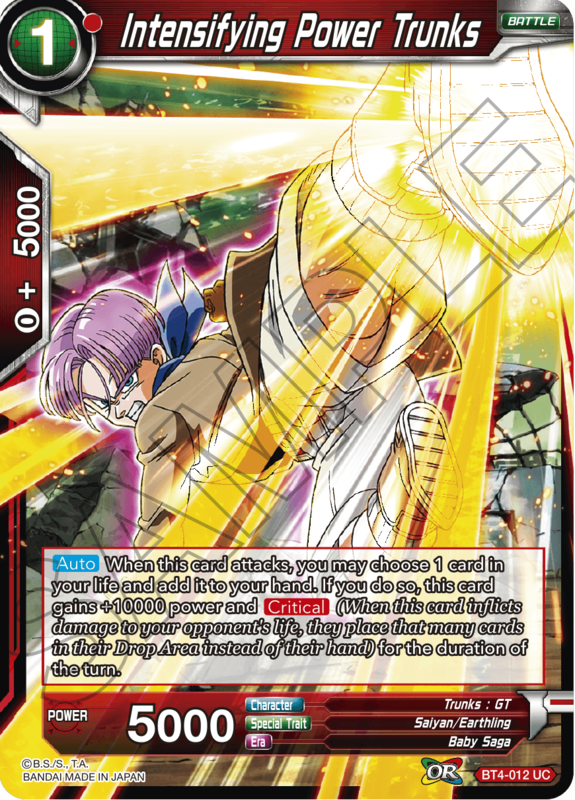 that reduce the power of your opponent’s Battle Cards!